The Good Morning Snore Solution and the VitalSleep use two different methods to prevent you from snoring. The Good Morning Snore Solution is a TRD (tongue retaining device) and the VitalSleep is an MAD (mandibular advancement device). Both devices stopped my wife and me from snoring. The ease of fitting and cleaning the Good Morning Snore Solution made it our favorite of the two. 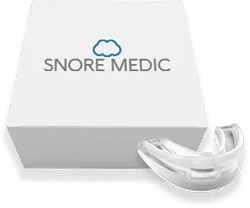 For me, the snoring mouthpiece of the Good Morning Snore solution took a little more work than the other one, but it really depends on the individual. Make sure to read up on my commentary and experience in using each one to figure out whether the Good Morning Snore Solution or the VitalSleep is appropriate for your needs. 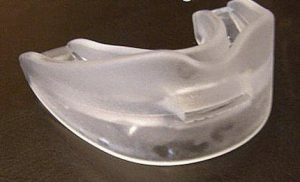 The Good Morning Snore Solution has a peculiar-looking shape compared to some of the other anti-snoring devices. This irregularity is due to the fact that it is a TRD, so it does not always need to conform perfectly to your mouth. It comes with a small suction bulb that you attach to the tip of your tongue. After you squeeze the bulb, the suction keeps the device in place on your tongue. By stopping your tongue from falling back into your throat while you sleep, it prevents you from snoring. All you have to do to clean it is drop it into a denture solution. My wife and I bought two of the devices. They arrived within three days. Since I was used to the boil and fit and adjusting MADs, the TRD was simple to use. All we had to do was simply squeeze the bulb and attach it to the tip of our tongue. I was shocked the next morning to find that it had stayed on the whole night. My wife and I awoke refreshed and our son reported no sounds of snoring coming from the bedroom the previous night. However, my tongue was quite sore. By the fourth night, I had no soreness at all. One problem that might be an issue for some users: you have to breathe using your nose when using the Good Morning Snore Solution. Unlike many MADs, there are no air holes that would allow you to breathe with your mouth as well. 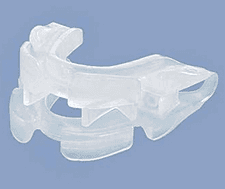 VitalSleep pushes our lower jaw forward and holds it in place. This keeps your airway clear when you sleep. You need a toothbrush and toothpaste to properly clean it. The first thing I did when my VitalSleep orders arrived, one large for me and one small for my wife, was clean them both with warm water and dish soap. Then, my wife and I used the boil and fit method to customize the devices. Before the first night, we used the included hex tool (something else to worry about misplacing) to fit the units to our jaws. After the first night, we both very refreshed. My teenage son told us that he did not hear any snoring coming from our room. My mouth was a little sore but after making a few small adjustments the rest of the week it felt completely normal. My biggest complaint was the cleaning process. You really cannot get the device properly cleaned without spending some extra time ensuring that you have carefully brushed every cranny and crack. Good Morning Snore Solutions and the VitalSleep provide very comfortable fits, as long as you take the time to adjust them. People who have a tendency to grind his or her teeth might want to consider the VitalSleep. Especially those who tend to bite his or her tongue in their sleep, may find the Good Morning Snore Solution a more suitable purchase. Check my GMSS Coupon and VitalSleep discount pages for savings.